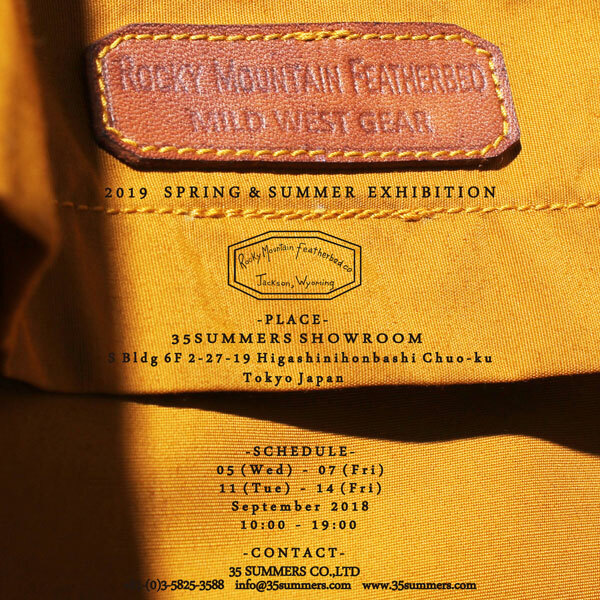 We are very happy to announce our Spring & Summer 2019 exhibition is going to take place at 35SUMMERS SHOW ROOM in Tokyo. Please visit our SHOW ROOM to see the excited new collection of Rocky Mountain Featherbed. Please contact your sales rep for an appointment. Please email info@rocky-mountain-featherbed.com if you are new and make an appointment. We look forward to seeing you at our SHOW ROOM in Tokyo.